Very often, the answer to that question can be a deal-killer for B2B firms without an appropriate client list or some other means to demonstrate industry-specific credentials. Lacking the proper “just like me” credentials, some firms will argue that the skills and experience they currently possess can be applied across all types of industries. And although this may be true, that response typically fails to convince the prospect, and can even backfire. 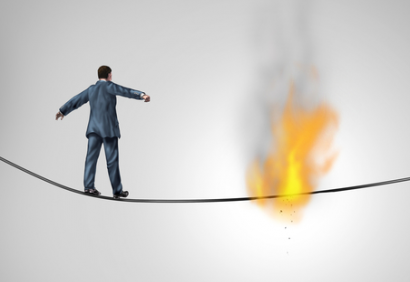 Because most companies believe their situation and the challenges they face are unique, suggesting otherwise usually will end the sales process. Recast Your Value Proposition: Take an inventory of your firm’s experience and capabilities, and identify those elements that are likely to address the current needs and opportunities of the industry you’re seeking to break into. By re-casting your public facing materials, or creating new marketing collateral and thought leadership that’s focused on your target industry, you can establish a baseline level of credibility that serves to offset the lack of actual client work in that field. Seek Expertise in Individuals: Your firm may not possess the desired industry credentials, but some of your employees might. Ask all of your associates if their professional experience includes work either for or with companies in a targeted industry, and “borrow” those credentials, with their permission. Prospects often don’t care where your firm has gained the requisite industry knowledge, as long as they are confident that it exists. Engage Freelance Talent: There are plenty of freelance practitioners with deep credentials in your target industry who are willing to lend their credibility and expertise to help make a sale, if they stand to benefit from the transaction. This is also a way to test the business potential of a new industry vertical without hiring an employee. Earn Your Credentials: If you’re serious about breaking into a new industry, you’ll need to become a student of what makes it tick: the economics, the core issues, the competitive landscape, and how it is currently being serviced by your peers. This means following trade journals; reading relevant books and academic research; attending leading conferences and trade shows; studying the opinions of its thought leaders; talking to people who are considered “experts” in that field; and contributing comments and questions in relevant online / offline industry platforms. Chances are that this work will eventually generate insights, discussions and relationships that foster tangible business engagements in that industry. What’s important to remember is that, regardless of the target industry, your credentials are only one part of the sales process. Once you overcome the “clients just like me” hurdle, the prospect will be more interested in how you intend to address their specific problem or opportunity. And that’s where you should work to direct the conversation. 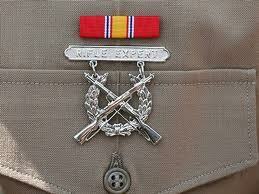 “Every Marine a Rifleman” is a basic tenet of the US Marine Corps. At boot camp, every marine receives training in marksmanship, hand-to-hand combat and teamwork. Regardless of how (s)he ends up serving in the Corps – as a mechanic, lawyer, clerk, pilot, dentist or pastry chef – every marine is prepared and expected to apply their combat training whenever it’s required. That rifleman commitment serves as a tactical cornerstone of the Marine Corps’ Semper Fi (“Always Loyal”) motto. B2B companies – professional service firms in particular – can benefit by creating a culture similar to the Marine Corps; training all employees with basic marketing & sales skills that can help the firm to grow and succeed. “Every Employee a Sales Rep” should be fully ingrained across a company’s work force, from the front desk to the corner office. Many B2B firms – in legal, accounting, financial services and consulting disciplines – employ at least one rainmaker, typically a founding member, who brings in the lion’s share of new business. But that “outside / inside guy” dynamic puts a company at risk, because rainmakers can depart unexpectedly (by choice or by ambulance), and the firm’s growth rate is always limited by their energy, motivation and availability. More importantly, this business model fails to leverage a firm’s “inside guys,” whose individual and collective business relationships, skills, experience and credibility should be harnessed to drive consistent revenue growth and to scale the operation. Manage Their Personal Brand – Clients hire individuals, rather than a firm, to help them. To showcase their credentials, every account practitioner should maintain a complete and up-to-date biographical profile on the company’s website and on LinkedIn. To expand their visibility, they should also participate in at least one activity unrelated to employment, whether that’s membership in the local chapter of a professional trade association, their daughter’s soccer team, or a fly fishing club. Nurture Their Professional Network – Every practitioner has a network of current and former clients, associates in other disciplines, friends, relatives, neighbors and individuals they’ve met at conferences or social events. Business contacts are often included in the firm’s CRM system, and may receive quarterly newsletters or other communications issued by the company. But account practitioners should also maintain direct and regular contact with their entire personal network in order to nurture and expand those relationships, because referrals are driven by casting a wide net. Drive Top-of-Mind Awareness – The marketing challenge for most B2B firms is making the short list of candidates called in for an assignment. To increase their odds of getting that call, firms must constantly sow seeds with clients, prospects and referral sources, driving top-of-mind awareness regarding the firm’s capabilities and credentials. Every practitioner should play an active role in that process by generating relevant content – in the form of blog posts, bylined articles, case studies, industry updates, slide presentations, etc. – that can be merchandised by the firm to keep the firm in play. Sell Intrinsically – Because “inside guys” embody the firm’s intellectual capital and deliver its services and solutions, they are best prepared to demonstrate to prospects and clients the firm’s capacity to add value, which is its most powerful sales tactic. Intrinsic (or “consultative”) selling is what converts prospects to clients, and not including account practitioners in the sales presentation process can handicap a firm’s growth potential. Seek Cross-Selling Opportunities – The professional practitioner assigned to an account is the steward of that relationship. As a trusted advisor, the practitioner has an in-depth understanding of each client’s current needs, as well as insight into what additional services might be of value. Based on that 360° perspective, the account practitioner is in the strongest position to recommend new services or an expansion of existing work. But many practitioners fear this solicitation will compromise their professionalism, or put the client relationship at risk. Both of those obstacles to increasing account penetration can be addressed with proper tools and training. Ask for Referrals – This is a tough task for most account practitioners. However, if they’ve nurtured their network, gained confidence by learning how to cross-sell to existing clients, and have rehearsed the referral request process, then practitioners can make this a painless routine. “Every Employee a Sales Rep” will not be achieved simply by establishing firm-wide mandates. The program must be driven by internal disciplines – consisting of written guidelines, worksheets and in-house training – that provide employees with proper guidance, support, feedback and motivation. Combined with a senior-level commitment to change the culture, and firm-wide acknowledgement that the transformation will be difficult, your B2B company can greatly enhance its sales and marketing capability. Semper Fi.